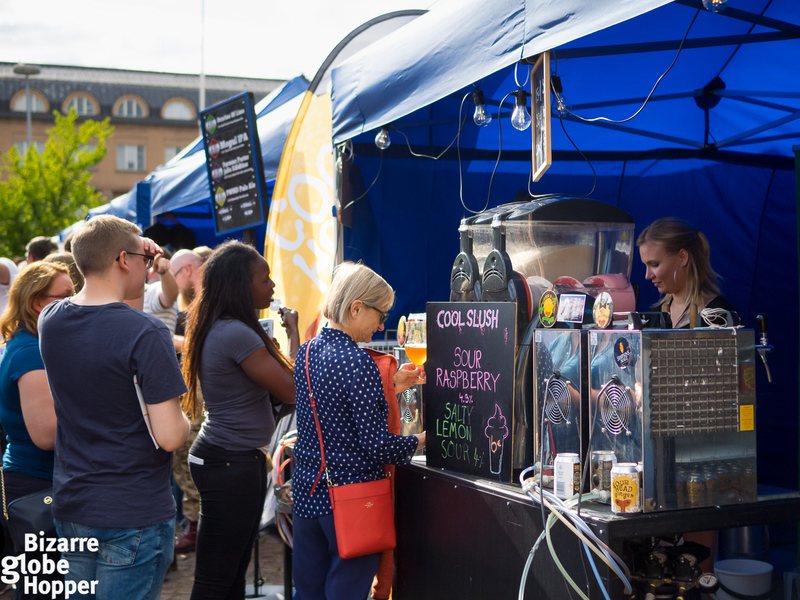 We had an amazing weekend soaking in the sun and the brews of Craft Beer Helsinki Festival. Small Finnish breweries together with some fierce competitors from the rest of the Europe took over Helsinki’s central landmark, Railway Square, offering a myriad of creative craft brews to sample. 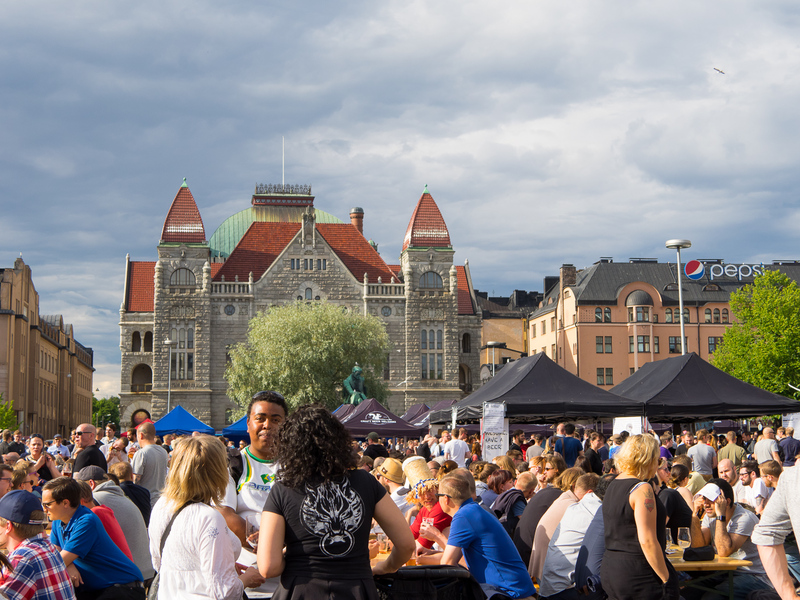 The best news: there still two other beer festivals coming up in Helsinki, in the same unique setting! Picture a long, sunny summer night (the sun sets in Helsinki in July around 11 PM) and a central square filled to the utmost with microbrew connoisseurs checking off their exhaustive tasting lists, combined with other loosely beer loving crowd, families, sun-seekers, odd dog walkers and tourists coming after the bubbling atmosphere. 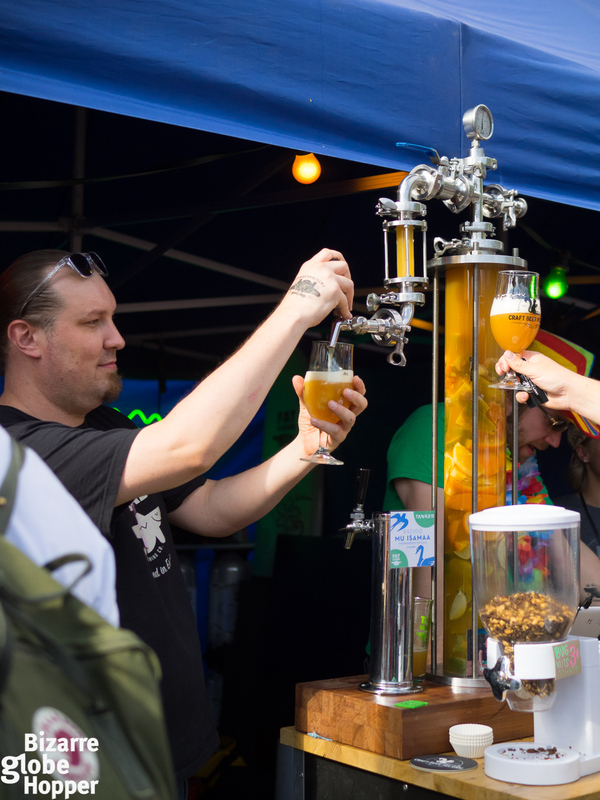 In its core, Craft Beer Helsinki is a fun, summery get-together, where everyone is welcomed. Most people seemed to pop in to sample the rare brews, not to get drunk. I loved the festival so much that I visited two days in a row (making it my first two-day beer fest)! 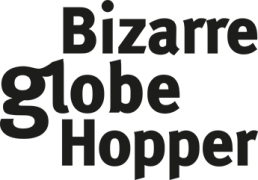 In 2017, there were more than 20 breweries and up to 200 brews (if I remember right, the list was exhaustive). Our favorites were found at the stand of the Swedish Omnipollo. Their Noa Pecan Mud Cake Stout (scoring 100 at RateBeer.com) is simply divine and I couldn’t find any fault from Zodiak IPA (scoring 95 at RateBeer.com). 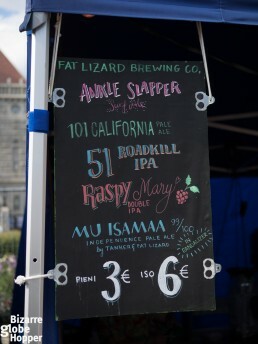 We also loved the newcomers from Finnish-Estonian Sori Brewing and our new Finnish indie fav Fat Lizard Brewing. Truthfully, we concentrated more on foreign brews, as the other summer beer festivals feature solely Finnish beers. 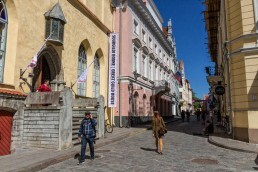 This year, the entrance was free, but you had to buy a beer glass (4 to 5 €) to sample the brews. 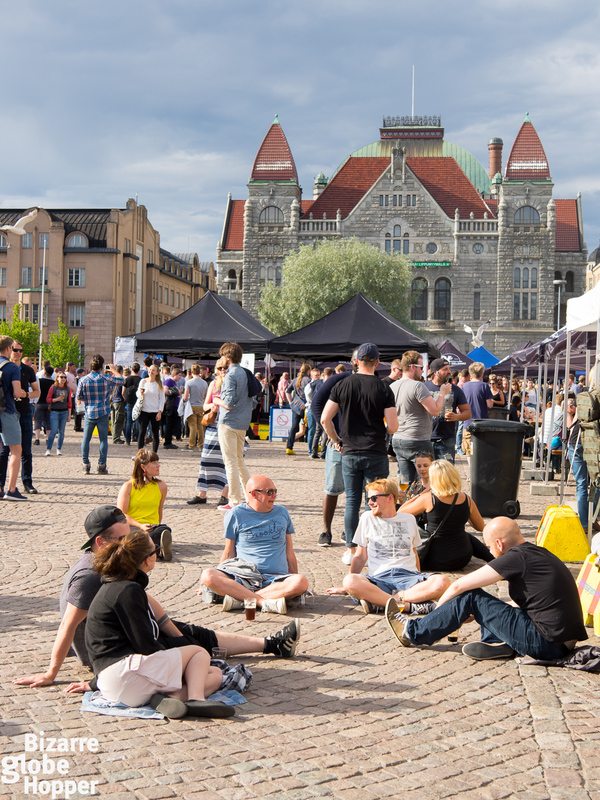 Whereas Craft Beer Helsinki Festival is a charming newcomer, the other craft beer happenings of Railway Square offer similar vibes. You can even spot many of the Finnish microbreweries in all of them! Suuret Oluet – Pienet Panimot festival serves microbrew-thirsty citizens already during the next weekend (from 26th to 29th of July). 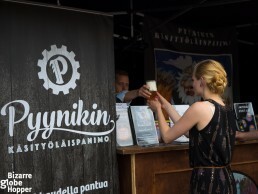 It’s the biggest microbrewery festival in Finland and showcases solely Finnish brewing talents and ingredients. 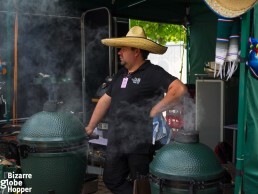 Suuret Oluet – Pienet Panimot festival is held also in five other cities during summer, check out the dates and details from here (in English) » This summer, there are still beer fests coming up in Turku and Oulu. 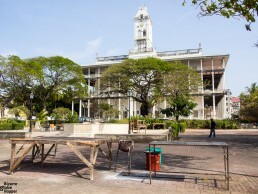 The entrance is free until 6 PM. 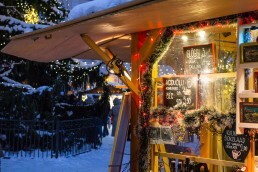 One of our long-standing favorites is the mouthwatering combo of “Delicacies of Finland” and “Syysstober Beer Festival”. 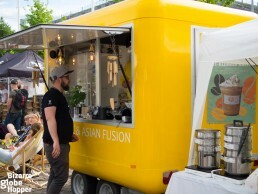 Again, a variety of Finnish breweries gather to the very same Railway Square at the beginning of August, but this time spiced up with prime food stalls and free samplings. 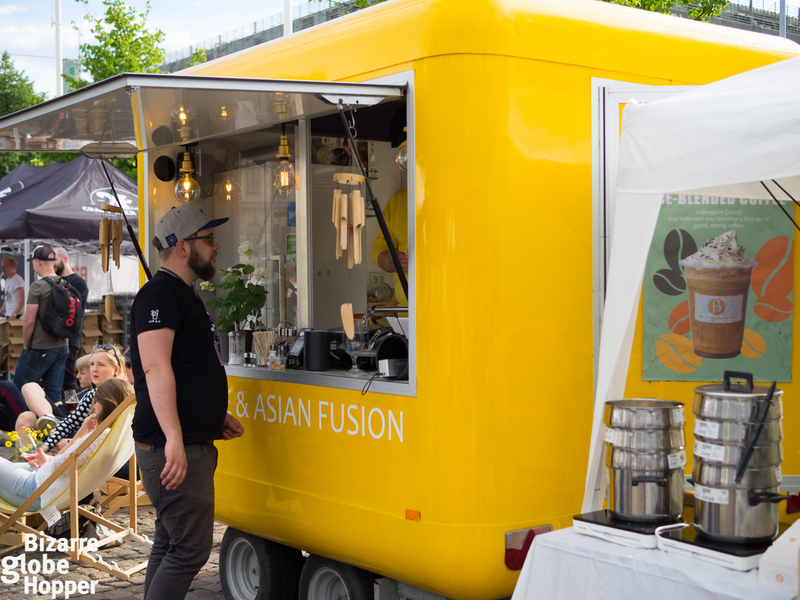 The last summer festival has the strongest focus on food, serving an array of local delicacies from the different provinces – plenty of organic treats, of course! Beers are all Finn and mostly from microbreweries. Craft Beer, Microbrew, or Just Another Great Beer? Some puritans might argue that Craft Beer Helsinki is the only craft beer festival, while Suuret Oluet – Pienet Panimot (Great Beers – Small Breweries) is the only microbrewery festival in Helsinki. In a way, that can be true, if you agree that not all micro-brewed beers are craft beer, but we’re entering a war-zone here. Suuret Oluet – Pienet Panimot (Great Beers – Small Breweries) is organized by The Finnish Microbreweries’ Association, so the beers are strictly Finnish microbrews. According to the Finnish definition, a microbrewery can produce only a limited amount of 15 million litres of beer per year. Craft beer, on the other hand, might be trickier to define. 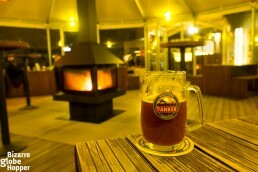 Some claim that craft brewery follows craft brewing standards, for example, the brew must contain at least half of traditional malt instead of oats or wheat. Personally, I Iabel my beer “craft” when it has been brewed with great craftsmanship, using high-quality ingredients and sometimes creative recipes (and I love oatmeal stouts). I know, what a punk. Leaving that discussion aside, you can find both high-quality Finnish craft beer and creative microbrews at all events listed above. Why to Visit Summer Beer Festivals in Helsinki?  Passionate craft beer scene is – finally – booming in Finland. While there are many excellent brewpubs, the beer festivals still remain the best opportunity to sample through hundreds of brews and chat with the brewers. If you’re not into beer, you can still enjoy the festive atmosphere and sample the street food, which is plentiful at all beer fests. In Craft Beer Helsinki, head to the awesome Craft Cider Stand – cider is usually served also at the other festivals. Even better, collect your bravery and give a try to the Finnish fruit beers and sours. Some of my favorite Finnish sours and gruit ales come from Hopping Brewsters, Humalove, and Hiisi. As a Finn, I dare to state that these festivals offer tourists a rare chance to chat with a Finn. We Finns are a peculiar tribe, slightly reserved and often introverted. We tend to avoid small talk and stay silent. For example, in public transport, we avoid sitting by a stranger and while waiting a bus or at the elevator, we consider it weird to talk to fellow passengers. After a long and dark winter, the light-filled summer makes us more playful, and after a drink we might open for a casual small talk. I might be exaggerating a bit, come and judge yourself. But I can almost guarantee that at the beer festivals it’s possible to find new Finnish friends. Two other yearly beer festivals make you smile outside the Finnish summertime. Both of them are held indoors in Kaapelitehdas, an old cable factory turned into the largest cultural centre in Finland. The oldest beer festival in Finland, called plainly Helsinki Beer Festival, takes place in April, and OlutExpo (“BeerExpo”) in October. Is that the ultimate grilling experience? It looks cool! The national epic of Finland, the Kalevala, describes the creation of the beer in 400 lines, whereas the creation of the world and man is summarized in 200 lines. The Finnish God of beer was called Pekko. 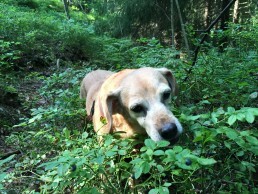 Finnish sahti is among the oldest surviving beer styles in the world. Homebrew-like sahti is brewed with barley malt and rye, but without hops, using junipers in the fermentation process. Only beer weaker than 4.7 % can be sold in regular retail stores. Stronger alcohol products are only available in government-owned Alko stores, restaurants and bars. Finnish alcohol legislation is strict and weird. For example, you have to be careful to use women, athletes, Santa Claus, or animal mascots in beer labels. Finnish government agency Valvira even asked Facebook to remove Like button, so that people wouldn’t be able to like alcohol related posts. Ever heard about beer floating? Yes, it’s an annual festival in Finland, where thousands of participants float down a river in make-shift rafts and inflatable dinghies while getting drunk. If you’ve visited the beer festivals in Helsinki, which is your favorite and why?